Priority’s New Year began with a generous outpouring of financial support from year-end gifts. As always, this support was much-needed, and we are so thankful for the Lord’s faithfulness and for the generosity of our Priority Partners. Thank you, beloved Partners! The Lord blessed big-time on the ReNEW! Retreat-at-Sea, Priority’s very first cruise. 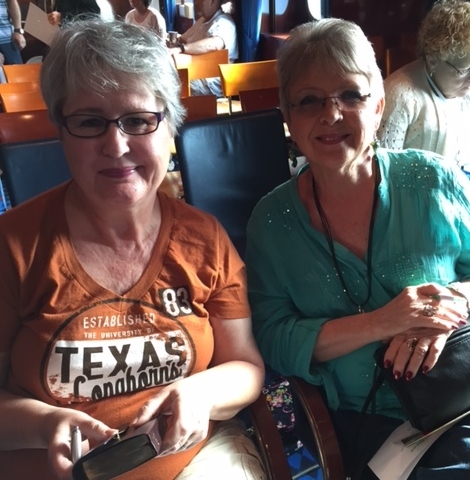 Sixty-six wonderful women (and a few equally wonderful men) participated in the Jan 2-9 cruise including a beautiful mother/daughter duo from Canada (you’ll see their pic below), and a fantastic husband and wife team from California (their pic is also below). 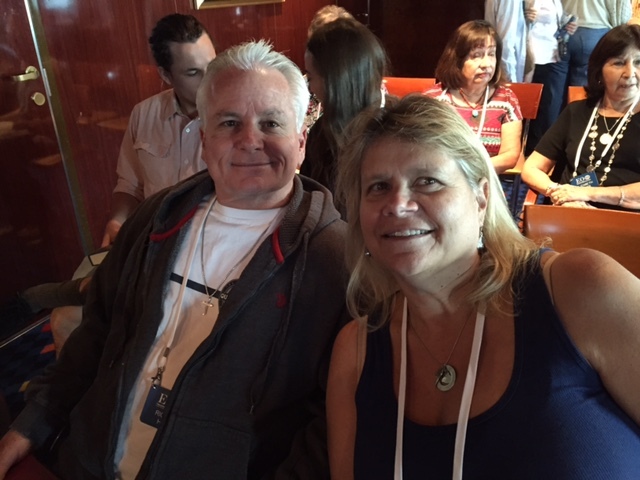 Mindy Ferguson, a dear friend of mine from Fruitful Word Ministries, and I hosted the 7-night/8 day Western Caribbean cruise. 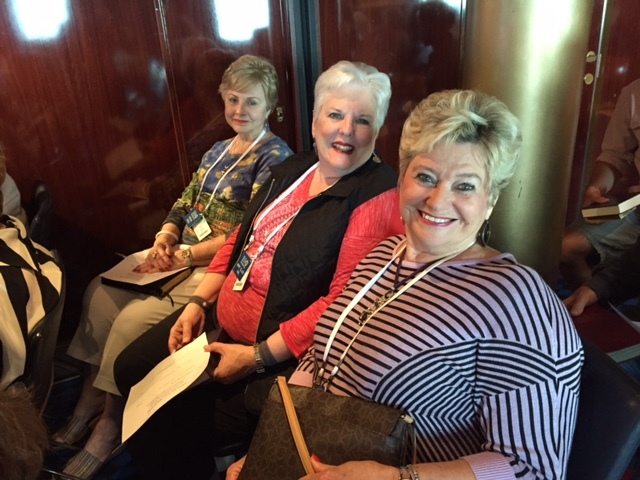 The priority of our trip was to get into God’s Word, learn how to make biblical resolutions, and return home renewed in our walk with the Lord. And praise the Lord, that’s exactly what He did! But He also blessed us with tons of fun and glorious fellowship. 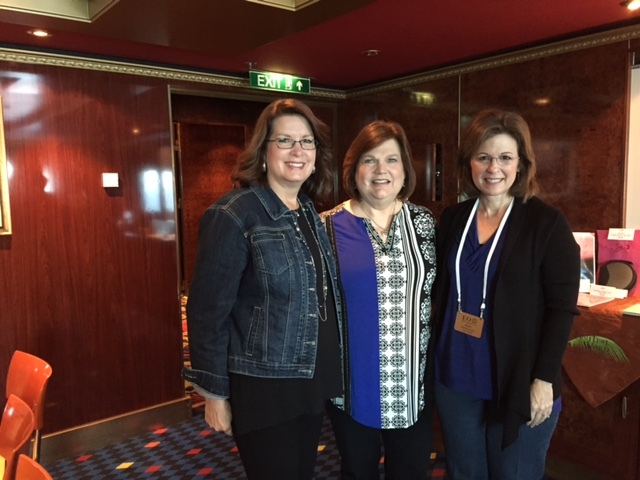 (l-r) That’s me, Angela Autry (my dear friend and member of Priority’s Advisory Council), and Mindy Ferguson. 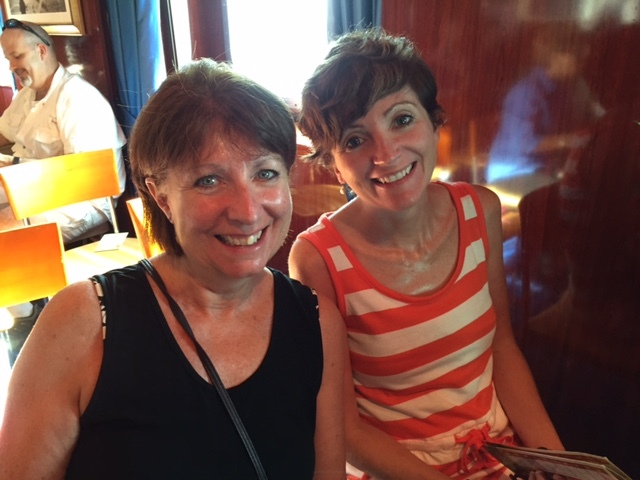 (l-r) Sandra Jacobs and Diane Zimmerman — two long-time, much-loved friends of mine. 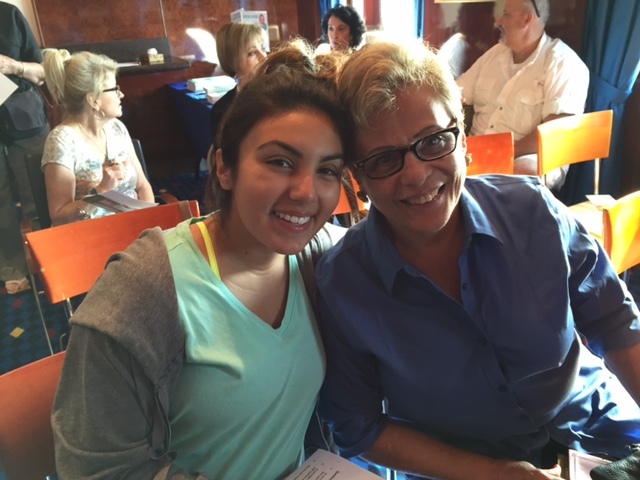 (l-r) Sydney and Guadalupe Perez — precious mother and daughter. Sydney will be enlisting in the Army soon; please pray for her. 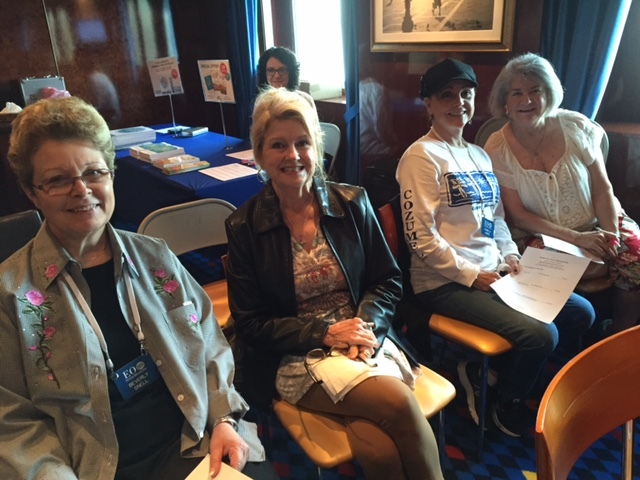 (l-r) Beverly Snell, Candy Jard, Pam Jones and her sister Cheri — seeing their faces makes me want to do another cruise tomorrow. (l-r) All the way from Canada, beautiful mother-daughter duo, Cecil & Christine Douglas — loved meeting them and loved every moment of fellowship with them. (l-r) Virginia Hosea, Mary Ellen Vail, and LaRita McGown — what a tremendous joy and honor it was to spend time with these amazing ladies! Richard & Melody Haak from California — I love this couple, and I will never forget our sweet fellowship over dinner one evening. 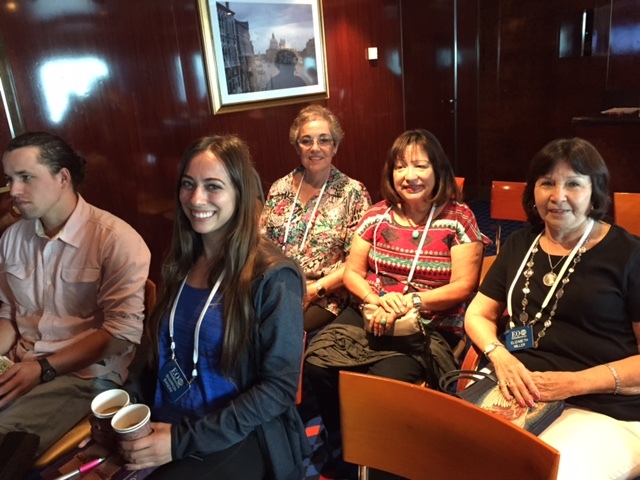 (l-r) Fabiola Amador, Gladys Markham, Graciela Morales, and Elizabeth Miller — what a blessing each one of them were to me throughout the trip! Lord willing, Priority will plan another retreat-at-sea in 2017. And don’t worry. I’ll keep you posted because I want you to come with me next time. January always brings orders from around the country for our Priority Bible Studies for women. We praise the Lord for every Bible study leader and student who will be participating and growing in God’s Word through these studies. Please keep them in your prayers. Emily Ryan and I are speaking at several events and retreats in February. And on Feb. 26-27, Emily and Shanda will be travelling with me to First Baptist Church Linden, TX where I will teaching and they will be leading breakout sessions. Women from 30+ churches in East Texas area will be part of this event. Many of churches there are suffering greatly because of the economy in that area of our state. Your prayers for them and for us are so appreciated. My 2016 speaking calendar is still open, and I am praying and trusting the Lord to fill it up according to His will. If you or your church need a speaker for an event, retreat, or conference, I’d love to come! You can contact me by email priority@priorityministries.com or phone (1-866-968-4564). My heart’s desire is simply to go where God leads. Please pray with me that that He will open doors and provide opportunities for me to serve Him and minister to women. Save the Date for Priority’s Boot Scootin’ BBQ! Don’t miss Priority’s 2016 Boot Scootin’ BBQ! This year’s event will be April 23 at Sagemont Church in Houston, TX with special entertainment by LaDonna Gatlin. LaDonna grew up on stage performing with her brothers, the legendary Gatlin Brothers. You will love her music and her testimony about growing up Gatlin. We will also have a wonderful silent and live auction, delicious BBQ and desserts, and a few other fun surprises. And just in case you’re wondering about the dress code, I’ll be wearing my boots and jeans — and you can, too!Tickets are $25, and they will go on sale soon. So, save the date, and I’ll share more details about Priority’s 2016 Boot Scootin’ BBQ with you soon. Yee-haw, y’all! Well, that’s the scoop for February. How I thank the Lord for you and for your interest and support for Priority Ministries. May God pour out His blessings upon you in abundance as you love Him most, seek Him first, and give Him priority!